Don't be intimidated, it's easy and rewarding! If you've already done your research and have chosen Anguilla because of the ease of getting around - give yourself a pat on the back. 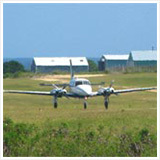 It is simpler to get around in Anguilla than many other islands. 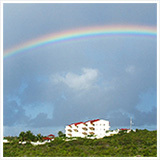 Driving in Anguilla is not a big challenge but an educated approach doesn't hurt. 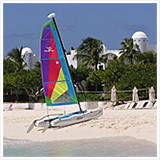 You'll want to keep reading if you are interested in getting around as a visiting driver in Anguilla. 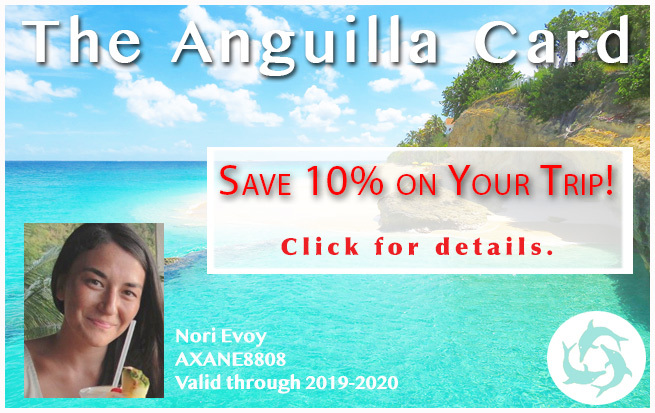 If you have no interest in driving yourself, click here, and you can rely on some of Anguilla's finest taxi drivers to get you around in a fun and safe way. For those who understand the beauty of freedom in driving yourself around, the rest of this page is for you. 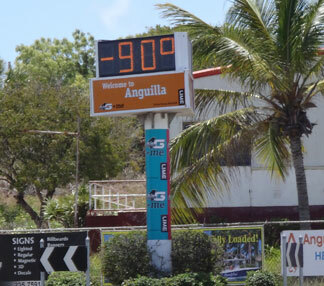 To reiterate, driving in Anguilla is not challenging. Of course that's all relative to your driving skills and where you're coming from but in general, it's not difficult driving. Driving is on the left. If you are coming from somewhere where driving is on the left, then you will have very little to adjust to. If you come from a place where driving is on the right, it's a slight adjustment. 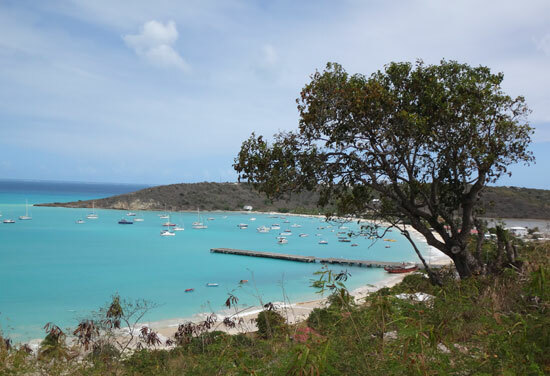 Being from the United States and having navigated traffic nightmares such as New York City and Atlanta, I found driving on the left in Anguilla to be non-hectic and enjoyable. Driving on the left even felt a bit more natural to me. What might feel unnatural for some, as it did for me, is if you get a rental car with a right-hand drive side. The one week I had a car with a right-hand wheel, it had become to feel a little more comfortable to use to by about the time of my departure. Therefore note, it doesn't hurt when you book your rental vehicle to request which side you want to the drivers wheel on… I've never heard of it being a problem, but typically all car rentals rent vehicles where steering wheels are on the left. 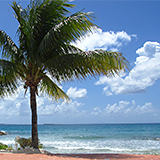 Note: To rent a car in Anguilla, you generally need to be at least 25 years old. 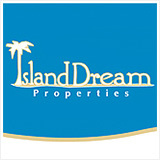 You will also be required to get a temporary driver's license, which your car rental will arrange. 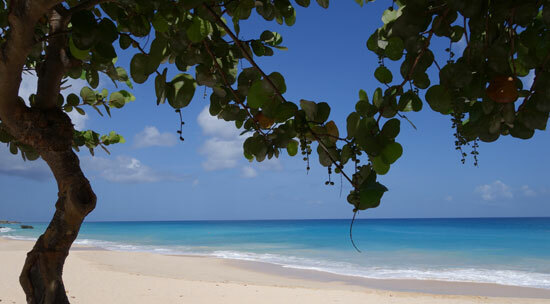 If you are getting hung up with the left side driving, here's another positive point to factor in… Anguilla is mostly flat. Driving on a more mountainous island such as St. John USVI or in Dominica where there are steep hills with twists and turns and blind spots on narrow roads, high up with no guard rails (or even with them), is more harrowing on a visiting driver. 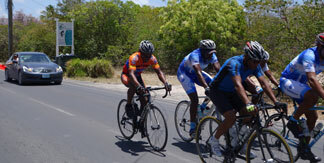 Anguilla has a couple main roads which are paved. 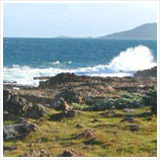 They stretch the length of the island and there are several cutting across. Some of them are smoother than others. 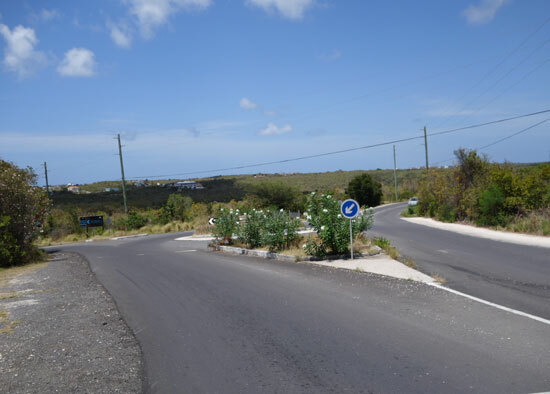 The road through the "island center" in The Valley has a reputation for being one of the worst paved roads in Anguilla. As a visitor, you might find its patchwork to be part of the charm. I did! Newer roads such as Rev. 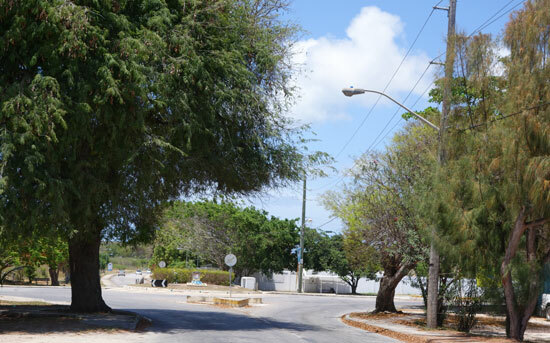 C. Leonard Carty Road which runs along Katouche Bay (on the North side of the island) and in to the village of North Hill is a more luxurious paved road. The same goes for the Jeremiah Gumbs Highway which allows for more directness between Blowing Point and The Valley. The speed limit signs encourage safe speeds. As for the rest of the roads, you find a mix of everything. In addition to newly paved, there are sandy, rocky, dirt and patched pavement roads. It's a small island, about 16 miles long and 3 miles wide at it's widest point. 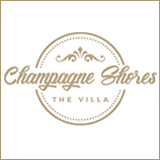 The people here are mostly friendly and helpful so if you need to ask a question, don't hesitate. The signage for getting around is not bad and been improving each year since about 2006 and many businesses, such as da'Vida Restaurant have produced some of their own to help direct you to where you are trying to be. The last bit of Anguilla driving that some people get hung up on, amused by or otherwise, is the roundabouts. Roundabouts have existed in the world for hundreds of years. They can be found in Australia, Ireland, Costa Rica, and there are many in France. The list could go on. 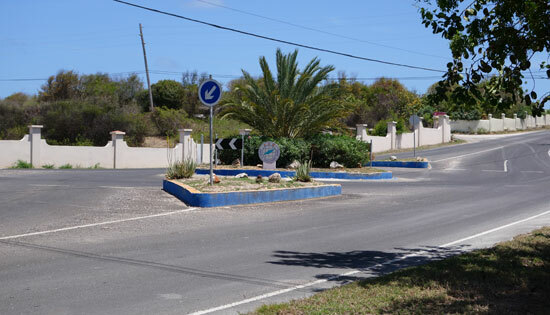 Anguilla's modern roundabouts are derived from a design to promote safety. that graces it... now that would be a record-breaker! 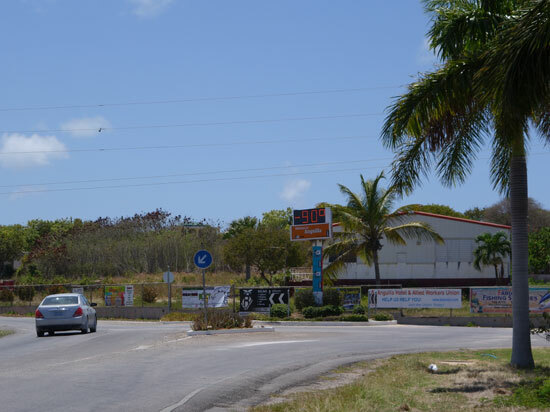 There are 5 roundabouts on Anguilla that I know of. 4 of them allow for 3 points of entry/exit. The main roundabout in The Valley allows for 4 points of entry/exit. They are all only two lanes deep. Very rarely do I see two cars rounding the roundabout at the same time, using both lanes. In my observation, the two lanes are used loosely and tend to only host a car at a time. A positive of the roundabout is that you can keep circling if you miss your turn off the first time - that will take some pressure off! 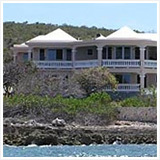 In Anguilla it will also be much less conspicuous than Chevy Chase as Clark Griswold in a London roundabout! Also, all cars entering the roundabout are the yielding cars. So, once the circle is clear and nothing is coming, you enter and then exit where you need. It's simple if you stick to the plan and don't panic. A roundabout as you enter from the west. It's referred to as the "Sandy Ground roundabout". A roundabout as you enter from the east or coming from the airport. It is referred to as the "airport roundabout". The 4 points roundabout in The Valley as you enter from the south. It is referred to as the "Valley roundabout". A roundabout as you enter the Deep Waters/Shoal Bay area from the west. 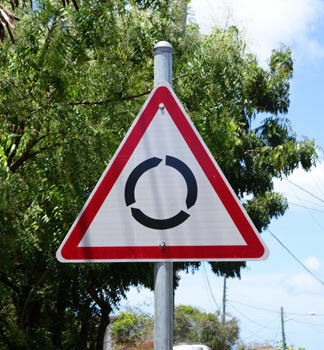 It is referred to as the "Shoal Bay roundabout". 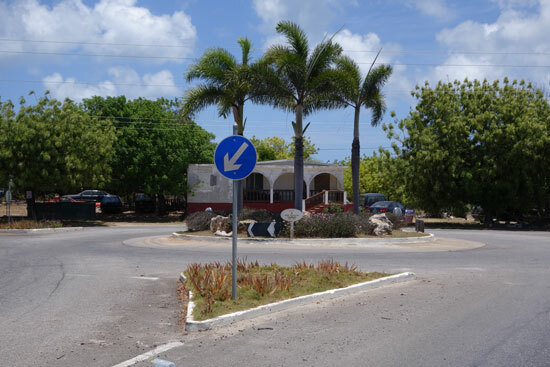 A roundabout as you enter Sandy Hill/Seafeathers area from the north. It is referred to as the "Sandy Hill roundabout". There are also dish drains and speed humps in Anguilla. These are not uncommon in the world and the dish drains are marked with signs. 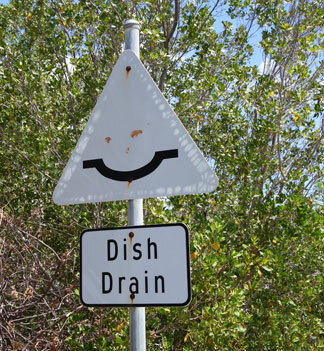 This sign indicates there is a dish drain ahead. Although I have not seen a "goat crossing" sign, there are plenty of goat crossings. Please be kind and let the goats have the right of way. There are also plenty of loose dogs and cats on the island. Be mindful of them. Very importantly, there are plenty of people who walk in Anguilla. In certain spots the roadside may not leave enough room for passage, so please give them space without crossing in to oncoming traffic. This doesn't usually present a problem. You may see some of the walkers gesture for "a lift". Many people who don't drive get to and from work or errands this way. Do not feel obligated to pick up anyone and only do so if you feel comfortable. I've given my share of rides when I've been in a good position to do so. I've never had any walker harass me for a ride or act angry if I pass them. I've met some nice and interesting people along the way. 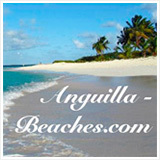 It's a part of Anguilla. Lastly and not necessary to point out, but possibly vital to your experience… driving in Anguilla allows you to really see the island. You may find things you aren't expecting and linger longer where you thought you might not, etc. The old East End school. Time and hurricane survivor and may not be around much longer. 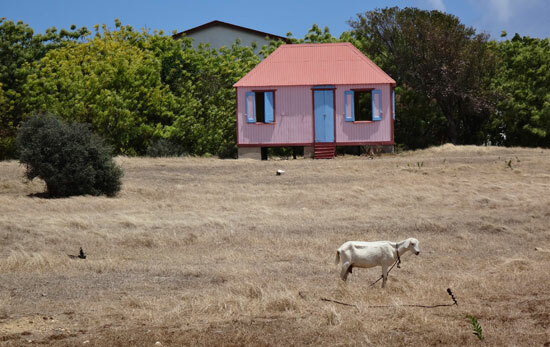 This little building housed some of Anguilla's positive contributors to history. 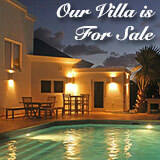 Contact the Anguilla National Trust for more information on it. 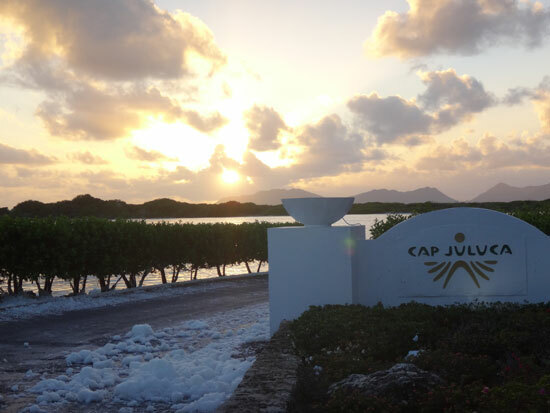 Early morning "snow" at the Cap Juluca entrance. A special and quiet time on the island. A quaint and popular photo opportunity in the West End. Thanks for reading, be safe and happy exploring!